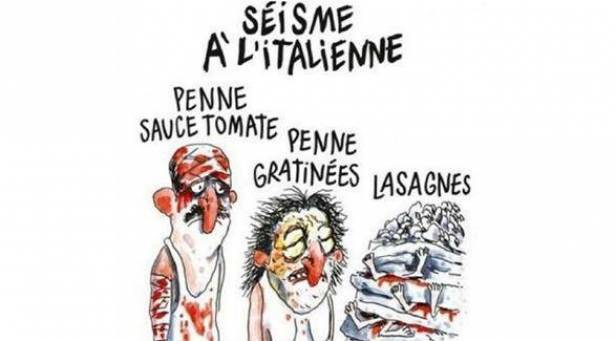 A Charlie Hebdo cartoon depicting victims of the Italian earthquake as lasagna has sparked outrage in the country which is still mourning the nearly 300 people who died in last week’s tragedy. “The drawings are repugnant,” said Italian Justice Minister Andrea Orlando, as furious reactions began flooding social media sites. “I don’t think its useful to comment further as I think that would produce precisely the sought after effect… that is to create a scandal,” and draw attention to the cartoons, he added. The drawings in the current edition of the French satirical weekly depict bloodied victims of the quake. The words “penne tomato sauce” appear above a picture of a bloodied and bandaged man, while a woman with burns is described as “penne gratin”. To their right, a pile of bodies under layers of rubble is titled lasagne”. The cartoons are captioned “Earthquake Italian style”. 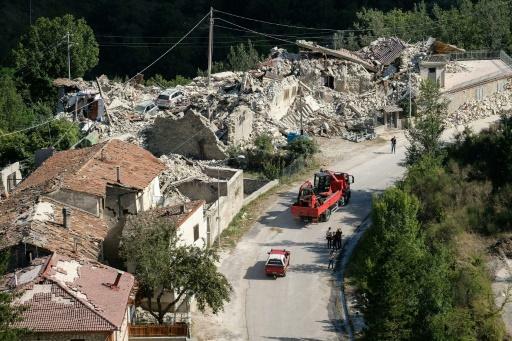 The quake struck central Italy on August 24, with the small town of Amatrice bearing the brunt. The town is the home of the all’amatriciana pasta dish. Italian Senate leader Pietro Grasso said that he respected “the freedom of satire and of irony,” but added that “I am free to say that all this is disgusting”. Charlie Hebdo’s offices in Paris were the scene of a deadly jihadist attack in January last year. Jihadist brothers Said and Cherif Kouachi gunned down eight Charlie staff as well as several others in and around their building in the attack on the magazine whose drawings of Mohammed drew furious reactions from Muslims worldwide. There was a wave of international sympathy for the magazine and its staff after that attack. The French embassy in Rome issued a statement on the quake drawings Friday, saying that “the Charlie Hebdo cartoon in no way represents France’s position”.